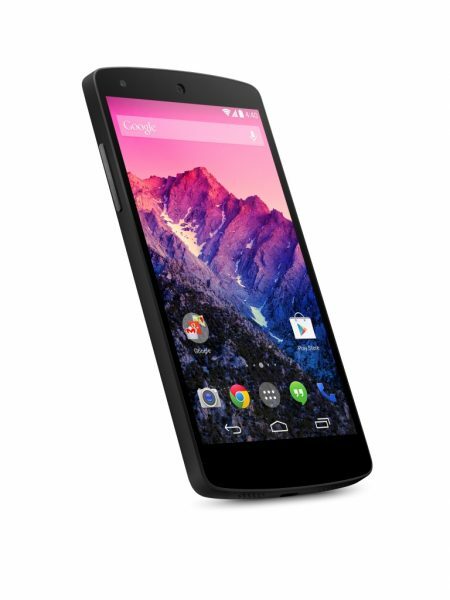 Nexus 5 – finally here! Oh Google, you tease! Oh LG, you tease! Probably the phone with the most leaks yet, the Nexus 5 has finally been made official. No real surprises though. The phone is made by LG, much like the Nexus 4, and it looks like the leak brigade was pretty accurate. The price, which has been one of the biggest points of interest, is £299 for the 16GB version, and the 32GB version is £339. And yeah, we have a 5″ Full HD IPS display to go with all that. The announcement also brings with it the much awaited announcement of Android KitKat 4.0, which obviously comes with the phone. In a much Apple like fashion, this is the slimmest and fastest Nexus yet! Hey, they said it, not us! “We’re excited to collaborate with LG on a new Nexus device,” said Sundar Pichai, senior vice president of Android, Chrome and Apps at Google. “Google Nexus 5 is the slimmest and fastest Nexus phone to date and puts the latest platform innovations of Android 4.4, KitKat, right in the hands of consumers. The phone brings to you everything the Nexus 4 did, and more. The camera is still 8MP though, with a 1.3MP camera at the back. An embedded 2300 battery, no microSD slot, and 130 grams of weight. Once again, we have NFC as well as wireless charging, which is good to see. It is available in the United States, Canada, France, Germany, Italy, Spain, U.K., Australia, Korea and Japan. Offline availability in Europe, Central/South Americas, Asia, CIS and the Middle East will begin in mid-November. Next story Movember it in Oxford!